Ann Arbor is home to the University of Michigan, a world-renowned educational institution. But to find the city’s warm heart and earthy soul, a visit to another institution, Downtown Home & Garden, is worth the trip. 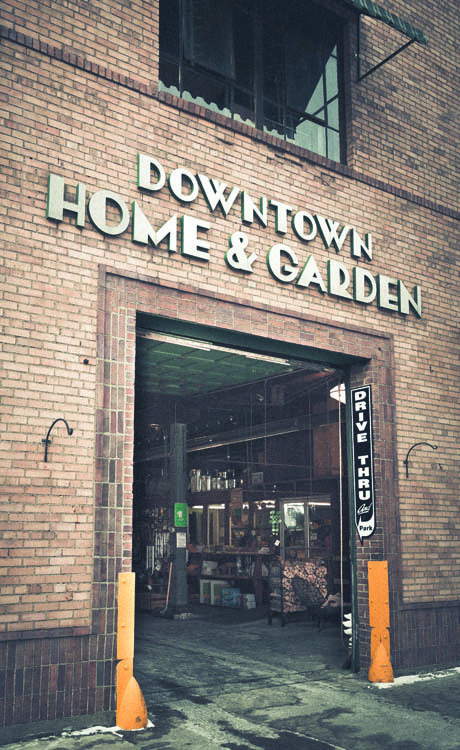 Located in a decidedly muscular building in the business district, Downtown Home & Garden is a gardener’s delight in the spring, a joyous celebration during the holiday season, and a wonderful mélange of practical, fun, and luxurious products year-round. Built in 1906 and originally for farmers in horse-drawn wagons, the building features a real drive-through. Today families in SUVs enter the building, park and shop, and then leave through one of two exits. Not a parking meter in sight. Whether you drive into the barn or walk into the store, you’re likely to be greeted by Mark Hodesh, who has lovingly shaped the store to reflect his bone-deep commitment to Ann Arbor. He has guided the store through recessions — and overcome trends of online shopping and big-box stores — while keeping the store relevant, vital, and distinctly Ann Arbor. Picture old-time knife sharpening side by side with organic garden supplies, and you get a gist of the vibe. Although Hodesh recently transferred store ownership to a handpicked successor, Kelly Vore (a trusted employee since 2010) he’s not going anywhere. He retains ownership of the building, runs Mark’s Carts, a collection of eight food carts behind the store, and has a 50 percent interest in Bill’s Beer Garden. Hodesh first took root in downtown in 1972 when he founded the Fleetwood Diner, another Ann Arbor institution right across Liberty Street. He put down his taproot in 1975 when he bought Hertler Bros., once a livery stable and feed mill. 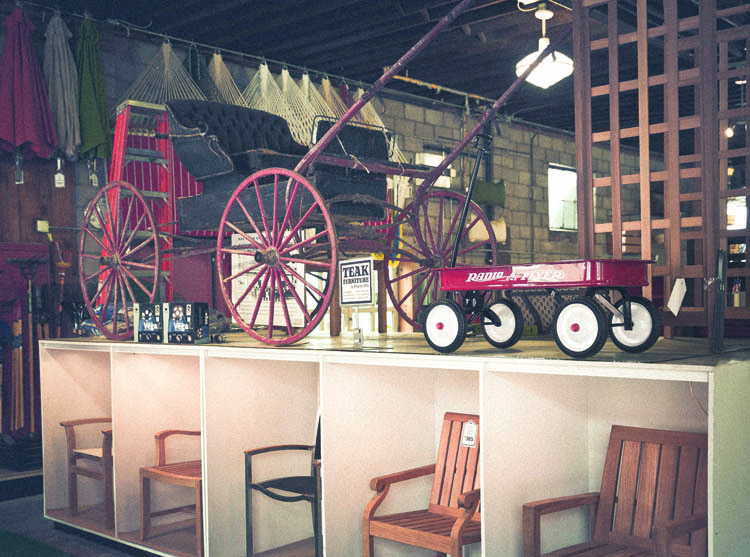 From 1975 to 1980, he successfully transformed Hertler Bros. from a farm store to an urban garden retail store. 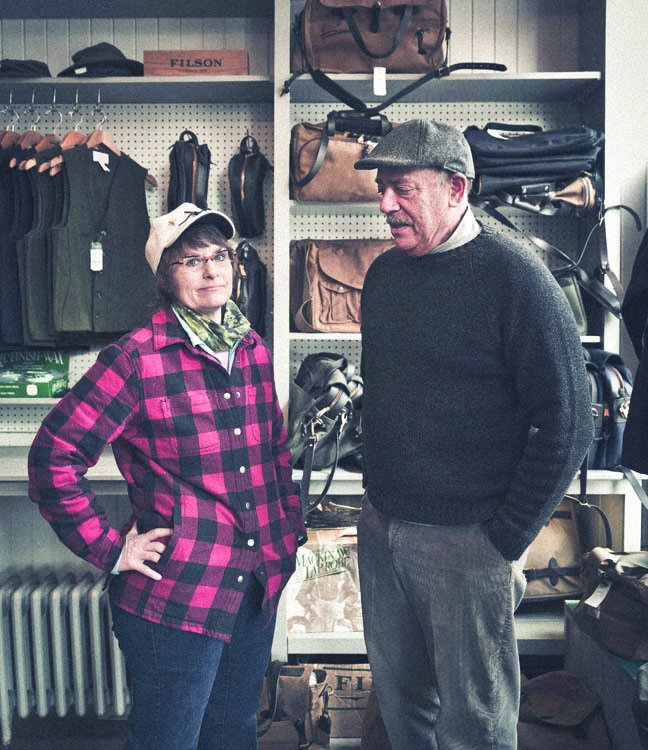 So successful, Raupp’s Campfitters made him an offer he couldn’t refuse: They bought the business and signed a 15-year lease for the building. Raupp’s eventually sold the business, and in 1997 Hodesh and the new owners could not agree on terms. They took the name, inventory, and fixtures — leaving Hodesh a big, empty building. The seed for Downtown Home & Garden was planted. Pollay, the executive director of the Downtown Development Authority (DDA) in Ann Arbor since 1996, also noticed the behind-the-scenes role of Hodesh’s wife, Margaret Parker. “Margaret is the secret sauce to Downtown Home & Garden,” Pollay says with a smile. The Margaret Parker Studio is on the second floor, but her touch is everywhere. 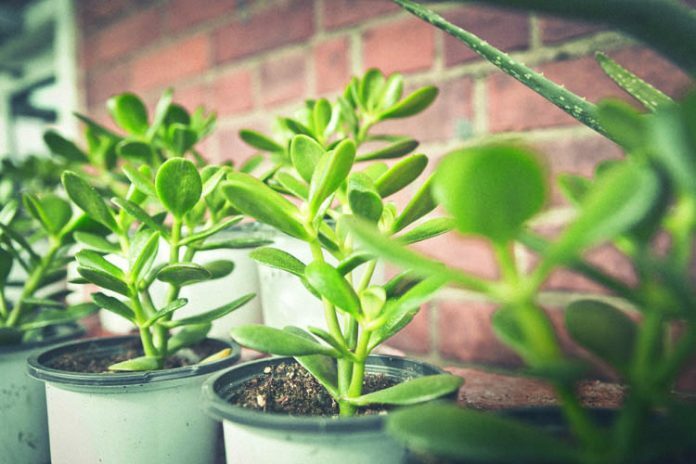 She designed the store’s logo and helped transform the bland parking lot into an urban garden crowned with an elegant hedge. Parker also designs the seasonal newsletters, which feature her art on the cover. â€‹Hodesh eschews business plans. “We’ve grown organically,” he likes to say. His secret? He’s in the store almost every day listening to his customers. He expanded the garden section by adding a greenhouse so plants flourish all yearlong. 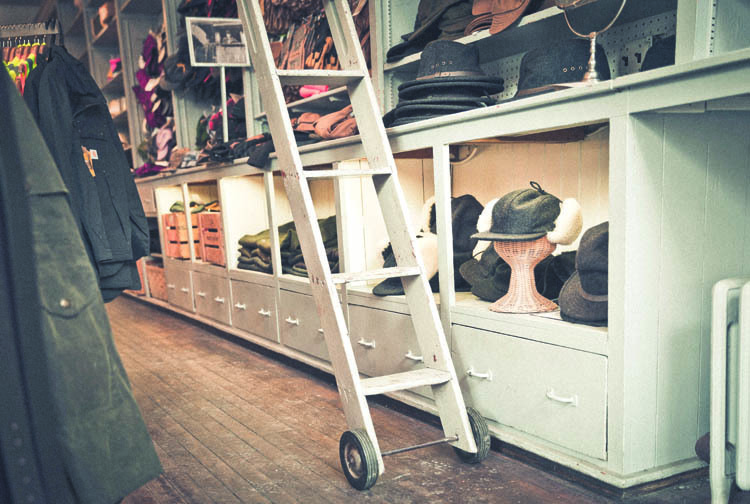 Clothing is the newest department featuring American brands Filson, Stormy Kromer, and Carhartt. 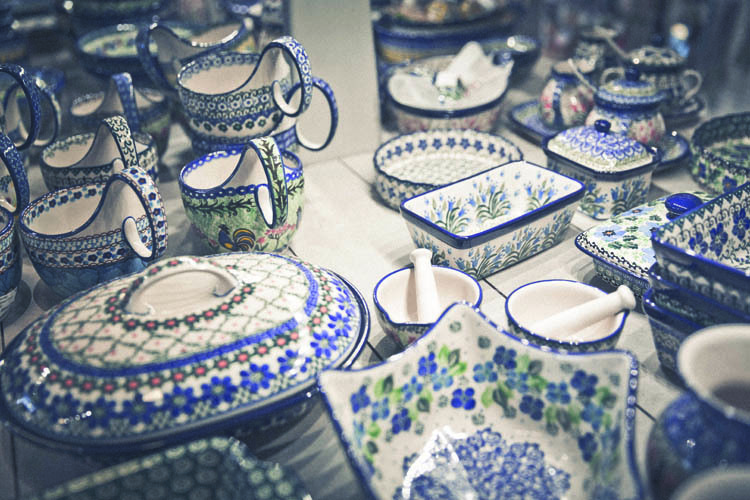 The housewares department features collectible Polish pottery, a rolling library ladder along the north wall, and a 100-year-old creaking maple floor. 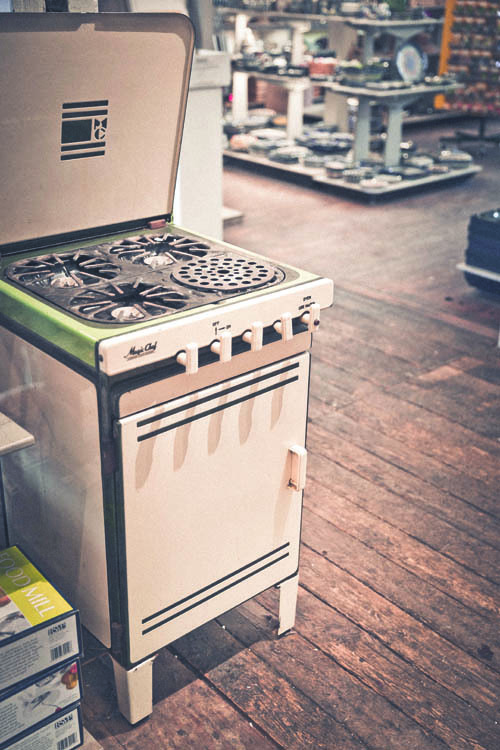 In the kitchenware section, All-Clad Stainless and Le Creuset enameled cast-iron selections share space with Zwilling cutlery and Ball canning jars and equipment. On a sunny weekend, shoppers sift through newly arrived seeds and tubers in the barn while being treated to Fleetwood chili cooked by Hodesh. The north side of the building is humming with Mark’s Carts, the outdoor eating area festooned with umbrellas and picnic tables. At night, on the other side of the building, the parking lot opens up like a night-blooming primrose as tables and chairs emerge, and Bill’s Beer Garden comes to life. The malty smell of Michigan craft beers wafts together with lively talk and laughter. Events are free, informal, and open to the public. The community-minded store hosts annual pickle and jam contests, and it’s a hub of activity for local foodies and gardeners. For some 40 years, Hodesh has been a champion of downtown Ann Arbor, but the wheels of change keep turning. Hodesh and Vore began talking about the transfer of ownership more than a year ago, so they anticipate a smooth transition. And to further ensure continuity, Hodesh will remain active: “I’ll be the schmoozer-in-chief,” he says. Vore is a farm girl at heart, who grew up working at her parents’ feed store in Morton, Ill. She also brings a wealth of retail experience. She worked at REI for 16 years; the last position she held was general manager of the store in Northville. 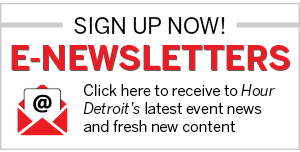 “Downtown Home & Garden belongs to Ann Arbor,” says Vore. “But people come to the store from all over. Downtown Home & Garden, 210 S. Ashley St., Ann Arbor; 734- 662-8122. Open seven days a week.